Michelle Barnes hosts Poetry Friday at Today's Little Ditty with "Five for Friday" and a plea for peace! All the special ideas are explained there! Enjoy her post and others with the riches of poetry! This is the time when teachers are excited about their new students, the time to start a year of learning, the time to discover students’ passions, about reading and writing. This is the time when teachers have writers notebooks ready, empty and waiting to be filled with words: personal words of happy and sad times, future hopes, observations of the world only children know. Teachers wish to know that world through student eyes, too. This is the perfect time for Amy Ludwig VanDerwater’s new book: Read! Read! Read!, charmingly illustrated by Ryan O'Rourke. From young to old, readers will connect to the poems as life links to their past, or links to the joy of reading that will be coming to them. How letters gather into words, then stories, begins this book's excitement that is reading, where O'Rourke's swirl of letters shows they "sing/into your soul/like soothing/summer rain." Amy lets readers travel on to the heart of reading when one believes it's like flying. And it is, a student discovers, whether reading cereal boxes or the sports pages, exploring in the pages of a book or looking at a map: "I like to hold a whole city/crinkling/in my hands." Amy's poems show over and over that reading is more than opening the pages of a book to discover what is there, it's meeting letters and images in life and both interpreting and celebrating them. The fun there lies in the poem, Double Life, where it "builds a treehouse in your head/a haven you can climb to/when you wish to get away." New readers can become confused about reading, sometimes believing they're not good readers if they aren't reading book stories, long book stories. However, as these poems show, page after page, reading is a jumble of actions that may make you happy or sad or informed. One poignant example is the poem, Stories, when O'Rourke paints a poignant scene of a young girl and her father finishing Charlotte's Web to accompany Amy's words:"tears heal/broken hearts." Connecting our reading to our lives is what readers do, and the poems in this book show it again and again. 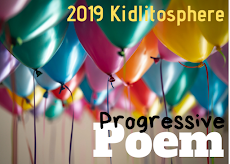 Like all of what we read, each poem will spark a connection in children, wanting to share their own reading experiences, in discussions, perhaps in their own poems? The back cover sums it all up with the poem, In Love. It begins "I'm in love/with a poem./No love/could be sweeter." From nature guides to maps to poetry, Amy's book clearly shows reading rocks! Thanks, Amy and Ryan for this wonderful book! Labels: Amy Ludwig VanDerwater, beginning the school year, Read! Read! Read! I'm sure that the book will do just that, Amy. You're welcome! I love your new book! Beautifully written review, Linda! I'm so looking forward to reading Amy's new book. Love your mention of connecting reading to real life. Yes! My book club did just that last evening, Jama. The connections from beginners to older readers happens always! Thanks! Linda, how wonderful that you have highlighted Amy's new book in such glowing terms. It sounds positively fabulous and highlights #poetrylove that we all feel. "I'm in love/with a poem./No love/could be sweeter." Your peace poem at Michelle's blog is so full of cheer. I wanted to start smiling as soon as I read it. Put a great big smile on your face for such a wonder-filled post today. 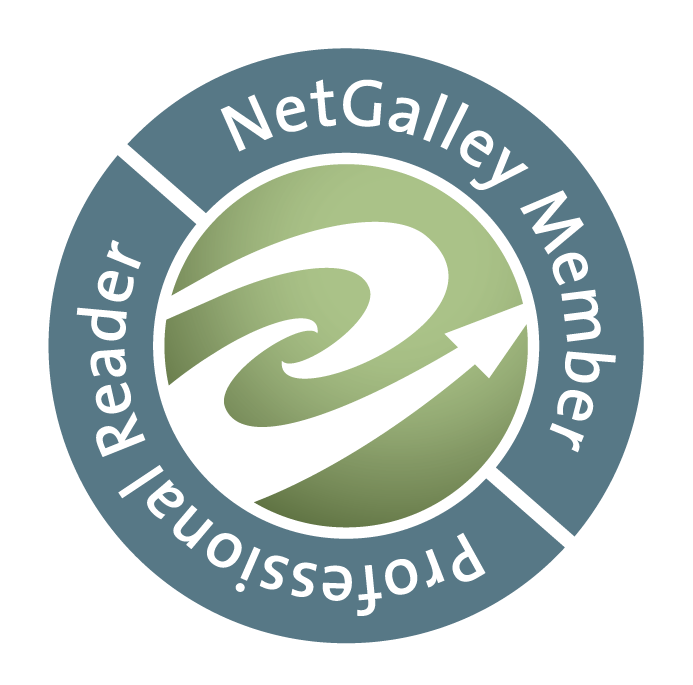 Thank you, Carol, Amy's and Ryan's book made it easy to write my review. It's quite a joyful book of poems about reading! Amy is all heart— it's no wonder that her books are too! I'm so looking forward to getting my hands on this one. Thanks for the excellent review, Linda! You're welcome, Michelle. I hope you enjoy the book as I did! I love that there is so much reading that isn't involving a book. That's important to recognise - and value. Thanks for sharing, Linda. You're welcome, Kat. I hope that you're able to find and enjoy Amy's book! What a wonderful review. Makes me want to read the book with my kids. Passing along the love of reading is the best thing we can do with our kids. You can survive anything with enough of the right books at hand. Thanks, Brenda. I know this will be a favorite for all ages of those who love to read! Thanks for the review, Linda. I've been waiting for Amy's latest book! I love the example you shared about the father and daughter reading Charlotte's Web together -- beautiful. It's a lovely book, Laura. I hope you enjoy it! I even had a man come by to pick up a copy of Charlotte's Web for himself today at the store. He said he'd heard so much about it, he wanted to read it, finally! Amy's book includes some of those feelings we have when we read. Thanks! I've been hearing such good things about this book. Now I want to read it even more! I hope you enjoy it, Kay! Thanks! Oh, and PS - I must have been shadowing you with my five lines over at Michelle's - I tossed mine out before reading through all the already-posted ones! Loved yours. I didn't notice our similarities, Robyn, about the "peace words". They are nearly the same. if only. . . I'm sure you'll love Amy's book, so full of love for reading. Thanks for coming by. 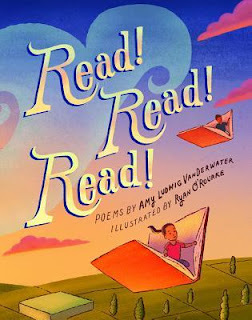 Sounds and looks like a wonderful book, the cover definitely has drawn me in, Thanks for sharing Amy's "Read, Read, Read," Poetry adventure with us Linda! You're welcome, Michelle. I was happy to write about this great book! What a wonderful introduction to Read, Read, Read! My copy is coming to me soon. I can't wait to get into it for reading but also perhaps some mentor text! I hope so. There is nothing more alluring than those empty notebooks you describe...waiting to gather words. Ah, September! September is filled with delightful beginnings, I agree. Thanks, Linda. I hope you do find it fun to share. So fun to read your review, even if I'm late to Poetry Friday. I was excited to spotlight Amy's book at the poetry reading last night and then so surprised to see that it had already arrived in the bookstore. I shared "Double Life" last night, but I also love "Word Collection." That's wonderful that you shared some poems from Amy's book, Ramona. It is a treasure for sure. sounds joyful & poignant, exciting & comforting, as stories are. Friday Night Lights and More!